A proper understanding of health is a social and political challenge, the modern social medicine approach to public health and health approaches more generally tend to minimise this, making the isolated individual the primary unit of health. Ivan Illich, social critic and philosopher, was at the forefront of arguing for a collective health approach and challenging medical hegemony. His theories of institutional counter-productivity, proportionality and his critique of the medical model which he argued was entrenched within an economics of scarcity are as relevant today as they were at their height of popularity, in the 1970s. Applying his analysis to current trends in health approaches I conclude, as did he, that beyond a certain institutional scale or intensity more medicine is making us sicker. Therefore public health requires a dramatic shift away from a focus on individual deficits, lifestyle diseases, behaviour change and health promotion approaches towards genuine community building and significant political investment in the health creation of local communities. Moreover, there is need for more resolute regulation of the marketplace to prevent the health-harming behaviours of industrial and other institutional interests, including public sector and third sector organisations engaged in institutional overreach. La sanidad, propiamente entendida, es un reto social y político. La medicina social moderna apunta a la salud pública y, por lo general, los enfoques sanitarios tienden a minimizar este hecho, convirtiendo a la persona aislada en la unidad primaria de la salud. Ivan Illich, crítico social y filósofo, encabezó el debate a favor de un enfoque basado en la sanidad colectiva y la lucha contra la hegemonía médica. Sus teorías sobre contraproductividad y proporcionalidad institucional, y su crítica sobre el modelo médico, del que argumentó que estaba arraigado en una economía de escasez, son relevantes hoy en día, al igual que lo eran en la cima de su popularidad, en los años 1970. 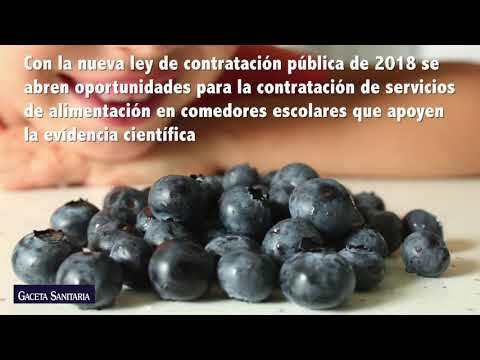 Aplicando su análisis a las tendencias actuales, yo concluyo, como hizo él, que más allá de una cierta escala o intensidad institucional, el uso de más medicina nos vuelve más enfermos. Por ello, la sanidad pública requiere un cambio drástico, alejando su objetivo de los déficits individuales, las enfermedades relacionadas con el estilo de vida, los cambios de comportamiento y la promoción de la salud, centrándose en cambio en el desarrollo comunitario genuino y la inversión política en la creación de salud en las comunidades locales. Además, existe una necesidad de regular firmemente el mercado para evitar los comportamientos nocivos para la salud provenientes de los intereses industriales y demás instituciones, incluyendo el sector público y las organizaciones del tercer sector, implicadas en las extralimitaciones institucionales. Public health is not solely a medical issue; it is primarily a social and political one. I acknowledge that this is not a commonly held perspective, but I wish to challenge the enduring assumption that better medicine equals better health. In support of this challenge I will revisit the thinking of a well-known philosopher and critic of the medical system: Ivan Illich. Ivan Illich (1926-2002) was a historian, and critic of contemporary institutions. His iconoclastic views enjoyed wide public interest in the 1960s and 70s, his popularity waned in the 1980s, and his interest shifted from direct critiques of institutional hegemony, towards medieval history and its influence on the modern world. It is Illich's simple claim that beyond a certain scale or intensity, not alone can care not be sustained by institutions, but that harm can be caused by their effort to help. The iatrogenic phase occurs at the point when Illich's scale or intensity is exceeded; the iatrogenic phase is preceded by two other phases, the first phase occurs in the early life of an institution when it is small in scale, and is marked by a period of modest productivity. In the second-phase, as the organization grows beyond a certain threshold, its productivity begins to level-off, during which time there will typically be a neutral-impact, which is to say institutions are neither helpful nor harmful; they are in effect non-productive, relative to intended outputs. While Illich was opposed to institutionalism, he was not against institutions per se. Rather his pamphlets challenged attempts on the part of institutions to monopolize functions related to the production of health and well-being, death, safety, wisdom and justice. Since, he contended, these social goods were not commodities unilaterally produced by institutional systems and thereafter consumed by individuals. Instead, he notes in Tools for Conviviality, there are certain irreplaceable functions that natural communities must perform to be well and to prevail culturally.10 And, if they do not do those things, then there are no institutional tools or systems’ alternatives that can appropriately replace those civic functions. Indeed, Illich argued that it is not a case of ‘either/or’ (community or institution), so much as a question of, which comes first. He contended that an institutional inversion had taken hold in modern societies, through which the community role becomes that which is left after the institutions and their professional helpers have done what they think they can do better or more expertly. Illich contested this inversion, and argued for its reversal whereby the institutional and professional role should be defined as being that which is left after the community has done what it can and wants to do. Increasingly industrialised countries are recognising that loneliness poses as significant public health challenge to respective populations. In Canada, for example, one in five people is estimated to be lonely. A study by researchers at Brigham Young University in 2015 found the ill effects of loneliness are as bad as smoking 15 cigarettes a day.13 Echoing Putnam's extensive review of available research literature at the turn of the millennium, the Brigham study looked at more than three million participants and found increased social connection is linked to a 50% reduced risk of premature death. Loneliness has a less obvious twin sister: uselessness. According to a UK report by Brunel University, De Montfort University and older people's charity the Royal Voluntary Service, one of the greatest fears that older people report is being a burden to their neighbors and those they love; in many instances, they fear it more than loneliness.14 Therein is the rub. To address loneliness and other symptoms of the unraveling of our social fabric we must therefore reconnect people into reciprocal relationships based on their capacities, not their deficits. In seeming disregard of the evidence of impact of community oriented public health approaches, the investment priorities around the world are still largely, some would argue disproportionately, directed toward acute medical care; not preventive approaches. According to Illich, institutions, rather than supporting social capital, through managerialism and professional overreach tend to inadvertently undermine, displace and eclipse the associational capacities of citizens, eventually rendering them individualized, passive and dependent on acute forms of intervention. Hence as specialisation and technocracy becomes more dominant and domineering, citizenship retreats in the face of the ever-increasing professionalization of civic functions including the function of health production. Mindful of the afore-mentioned dangers, for Illich, all institutional progress should be contingent on understanding the limits of institutional reach and the potential dangers of overreach. Another of his theories relates to proportionality, which essentially addresses the question of how local, home based communities and institutions can get in right relationship with each other. While this concept is important, it is not as significant as institutional counter-productivity. Notwithstanding, proportionality features strongly in Illich's thinking —when combined with his insights on institutional overreach— and provides a powerful theoretical lens through which to further consider the question: does more medicine make us sicker? Illich did not believe that proportionality could be attained through institutional reform, rather he saw the key pivot point for authentic progress as residing within civic life, beyond the limits of the institutional world. He believed that if we could restore or reclaim the commons that this would foreground a cultural revolution, which in turn would push back against the overreach of institutions, resulting in more proportionate and democratic relationships between citizens and institutions. Examples of the sort of proportionality that Illich was advocating for are uncommon, yet they do exist, and one of the finest examples comes in the guise of Dr. Robert Mendelsohn. Mendelsohn (1926-1988) was an American pediatrician and critic of medical hegemony. Following such realisations regarding the iatrogenic effects of some of his interventions, Mendelsohn came to understand that his primary role as a health practitioner was to ensure he did nothing to displace the health producing capacities of the people he served and that of their home or natural communities and personal networks. He also understood and skillfully used the power he had as a nationally respected pediatrician in protecting the health producing capacities of local communities. Marian Thompson, the president of La Leche League International for example, credits him as being a central figure in supporting the breastfeeding movement to flourish in the USA, and ultimately across 87 countries around the world. He supported the movement by engaging in rear guard action against the naysayers in the formal healthcare systems, both as a medical authenticator of the health producing capacity of breastfeeding, and as the chief heckler of anyone from the medical fraternities who attempted to undermine or devalue the efforts of this mother-led, lay person movement. Separately, in his own practice he was famous for asking questions of mothers in relation to their children's maladies, like: “What would your grandmother have done?”. His preoccupation in asking such questions was two-fold: 1) how could he ensure he did not displace a local elders’ wisdom; and 2) how could he avoid medicalizing that which could be effectively addressed through community assets. Here he illustrated that the core functions of a community-friendly doctor are: a) proscription: do no harm; and b) ethical medical prescription. Mendelsohn also teaches us about a third role, which is critical in finding proportionality, it may be described as the role of the ‘gapper’. The function of the ‘gapper’ (the one who defends the gap between civic health production and institutional capacity), only makes sense when we recognize that society is composed of two distinct domains, an institutional domain, governed by legal, contractual and administrative norms (bureaucracy), and a community domain, where citizens associate for their own purposes in more covenantal, non-contractual terms, and where people matter for themselves (what Illich referred to as ‘vernacular’ space). While these two domains are co-terminus, they are fundamentally different, and perform different functions when it comes to learning, justice, safety, and wellbeing. Some social policies and the institutions that implement them, demonstrate understanding and respect for these differences, and work to keep the two domains in right relationship with each other, but most do not. There is an urgent need to return public health back to its origins, toward the commons, and away from the clinical, individualistic, behavior change and lifestyle choice narratives, that tends to place the blame for health maladies on individuals. A fresh narrative is needed that once again places the emphasis on collective health and political change. Doing so is not just about mobilising communities at the grassroots level through effective community building processes, but also ensuring that state support and investment (some of which needs to be repatriated from downstream acute interventions toward up-stream preventative work) forms a dome of protection around communities, protecting them from the overreach of predatory market forces but also from any institutional counter-productivity emanating from some public sector or third sector interventions. As noted above not all institutional advocates respect the integrity of the community domain, their primary agenda being to treat perceived problems with institutional solutions; not to precipitate and defend community capacities. They often compound this infraction by redefining people's needs as deficiencies and relocating social and political challenges within individuals. In so doing they are in effect operating within an economics of scarcity, where health is viewed as a scarce commodity, of which they are the sole purveyors, and their market are millions of isolated individual (passive) consumers. In the grip of this scarcity model communities lose the capacity, authority and connectivity to perform their health producing functions, and consequently the state fails to effectively address population health issues. Illich considered modern medicine to be entrenched within an economics of scarcity, where the dominant institutional focus is on sickness not health and wellbeing. The economics of scarcity treats ‘health’ as a scarce commodity produced by medical professionals and their technologies, and sees populations as the market consumers of said products. Impact within this paradigm is not measured in terms of increased health and wellbeing, but the absence of disease. Health is not a product. Citizens/patients are not passive consumers. Doctors and medical professionals are not tools. The hospital and doctor's surgery are not factories. Institutions are not benign and can do harm, while intending to help (institutional counter-productivity). Awareness of institutional counter-productivity/overreach, commitment to proportionality and a shift from scarcity economics to an appreciation of community abundance perspective, are all needed to mitigate institutional hubris. To ensure right relations between citizens and professionals, we must start by increasing inter-dependency in community life and decreasing institutionalization. To do so the state and its respective institutions must create a dome of protection around community health production and act as a barrier against any commercial interests that would do harm to population health. The state must also be prepared to invest in enablements to population health. Most importantly though, the state and the helping professions that act on its behalf must be prepared to serve while walking backwards, in other words, commit to deinstitutionalising people's lives while simultaneously precipitating recomunalisation. In the same way that the steel industry needs iron ore, the medical industry as currently constituted and regulated, needs sickness. Collective civic resistance against such institutionalized interests, will ensure better health and wellbeing for all. In closing, suffice to say health is largely not a medical issue; treating it as such is counter-productive, hence I conclude, past a certain scale and intensity that more medicine makes us sicker. That said, the public health sector remains sufficiently ‘occupied’ by practitioners who are committed to reseeding associational life and challenging the inherent hegemony of their systems. The combined force of such ethical practitioners and citizens who understand the power and impact of collectivising to co-produce health with other citizens, offers much reason for confidence on the shared journey towards wellbeing. I wish to acknowledge Professor John McKnight (Co-Director of the Asset-Based Community Development Institute) for sharing his deep understanding of Ivan Illich's teachings and ethics with me, we have rarely had a conversation over the last two decades where Illich's name did not appear. John was a close collaborator and longtime friend of Ivan Illich. I also wish to acknowledge Prof. Thomas Dewar, Prof. Gabriel Scally and Dr. Thomas Hayes PhD., for their incisive comments on this paper. The challenges of Ivan Illich. Asset-based community development, looking back to look forward. I. Illich, I.K. Zola, J.L. McKnight, et al. Disabling professions (ideas in progress). Professionalized service and disabling help. Limits to medicine: medical nemesis. The art of medicine. Five decades of MRSA: controversy and uncertainty continues. Who believes that medical error is the third leading cause of hospital deaths?. Medical error – the third leading cause of death in the US. J. Holt-Lunstad, T.B. Smith, M. Baker, et al. Dissent in medicine, nine doctors speak out. Whose behaviour needs to change? Key factors in an effective response to the burden of non-communicable disease. The abundant community: awakening the power of families and neighbourhoods. The rivers north of the future, the testament of Ivan Illich as told to.